At a time when Anglo-Russian relations are at a low ebb, a dynamic young London actor and producer is determined to rebuild bridges through the two countries’ cultural links. 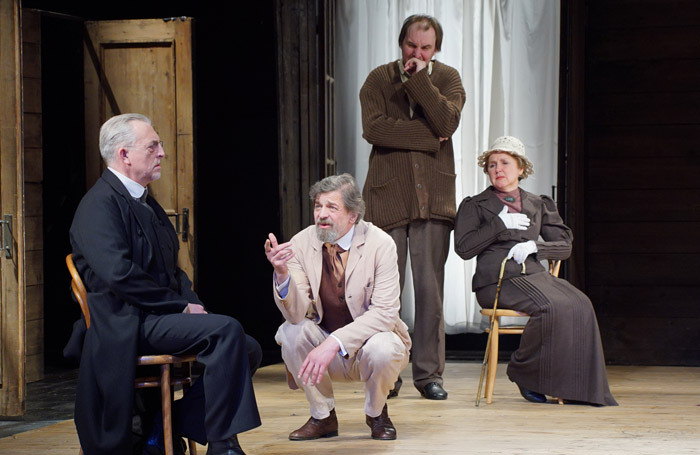 Oliver King was the driving force behind the recent Maly Theatre of St Petersburg season at the Theatre Royal Haymarket, featuring the UK premiere of its adaptation of the banned novel Life and Fate. His backers included the Russian billionaire businessmen Roman Abramovich and Len Blavatnik. But this Russian Season is the first time he has worked with Blavatnik, who is rumoured to have bid for the Theatre Royal Haymarket , so King can shed little light on the potential addition to theatreland’s roster of venue owners. Now King is back at the Haymarket, with his producer’s hat on, with an updated, dual-language version of Moliere’s classic comedy Tartuffe, adapted by Christopher Hampton. King first had the idea in 2014, but admits: “I didn’t really know what I was doing.” A friend, the veteran producer Lee Menzies, introduced him to respected French director Gerald Garutti and the idea took off from there. “Garutti had worked before with Hampton and we asked him if he would be interested in adapting it. It was Hampton’s idea to set it in Los Angeles in the present day, using basically the same Moliere text, but with added contemporary references,” King says. A waiter at private parties and catered events in my gap year. Working as an intern for the producer Lee Menzies. Don’t choose a play to produce on the basis that there is a good part for you in it. Peter Brook, Lee Menzies, Sam Mendes and Neal Street Productions. A photographer. Early on I had a real struggle between photography and theatre. His early forays into the London fringe were hit and miss. 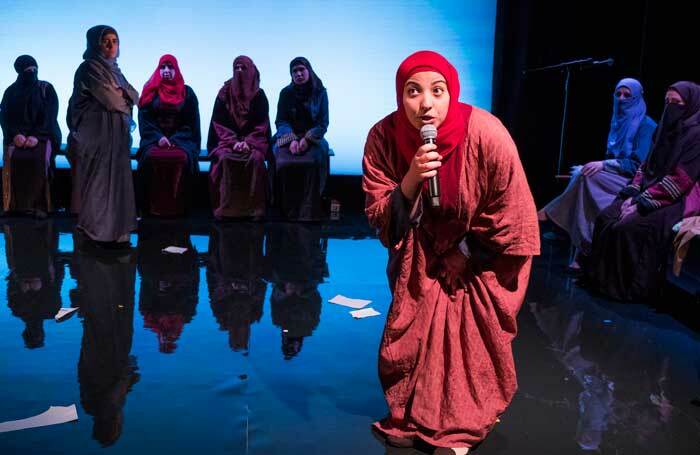 From a 2013 adaptation of a Chekhov short story, The Lady With the Little Dog at the Platform Theatre in King’s Cross, “where I got everything wrong”, to the extraordinary Queens of Syria , produced through the charity Developing Artists at the Young Vic in 2016. 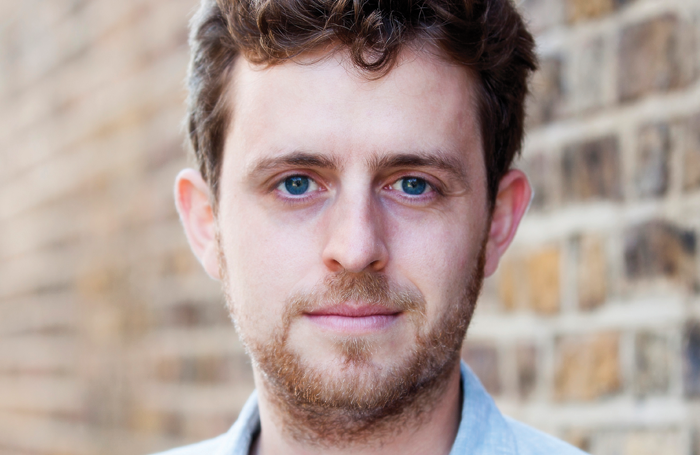 “I brought 13 Syrian refugees, all women, from Jordan to London to perform an adaptation of The Trojan Women, which began as a drama therapy session,” he says, “and it sold out at the Young Vic in a production by Zoe Lafferty. We also took it on tour to six UK cities.” Susannah Clapp of the Observer called Queens of Syria “the most urgent work on the London stage”. King adds: “The logistics and costs of bringing over foreign companies are hair-raising. At least with the Russians, there are wealthy individuals who will back these things. Without subsidy or sponsorship it is almost impossible to welcome international companies to the UK. The set of skills needed to become a successful producer is not easily acquired. How does King think he is coping in a fiercely competitive and unsympathetic climate? “Producing is gambling,” he says. “Tartuffe is hugely risky for me because my reputation depends on it. I’ve learned from my mistakes as I’ve gone along, as well as from mentors such as Menzies and Guy Chapman. Perhaps the hardest thing is finding investors. You go to a lot of parties and talk to a lot of people. He wants to do more Russian work and is talking to all the big producing companies in Russia and Georgia, seeing as much of the work as he can. “They have an amazing theatrical tradition. The performing arts there are akin to football here. Everyone goes to the theatre and, because it is subsidised, they can afford to go,” he says.